Gee, Beave! Your big brother, Wally, is 70 years old now. Does he still hang out with that creepy Eddie Haskell? Remember when he worked at the soda fountain and the teenage girls exclaimed, "Wally Cleaver! Wally Cleaver!" as he served them ice cream and sodas. He was quite the heartthrob then. Well, let's see what kind of junk he's up to these days. . . .
Anthony Lee "Tony" Dow was born in Hollywood, California on April 13, 1945. He is the son of Jobn Stevens, a designer and general contractor, and Muriel Virginia Dow (née Montrose) (1906-2001), a stunt woman in Westerns and actress Clara Bow's movie double. Muriel was one of the first females to perform stunts in Hollywood films. 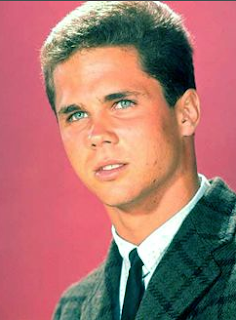 As a young boy, Tony Dow was a skilled athlete who won numerous swimming and diving awards. He was a Junior Olympics diving champion. In 1957, however, his life change irrevocably when he was selected for the part of the older brother, Wallace "Wally" Cleaver, in a new television sitcom called Leave it to Beaver. The series debuted on CBS on October 4, 1957 and it chronicled the everyday foibles of the Cleaver family of Mayfield, U.S.A.
Tony had had very little acting experience when he was given the role of Wally. Jerry Mathers, who played Wally's little brother. Theodore "Beaver" Cleaver, stated on his website that "Tony's only acting job prior to Leave it To Beaver was a pilot for a television similar to Tarzan where he played the "Boy" character." Tony did not portray Wally in the original pilot for Leave it to Beaver, which was entitled "It's a Small World." Today Leave it to Beaver is regarded as classic television and has come to represent an idealized, whitebread version of family life in the late 1950s and early 1960s that never really existed for much of the population. Nevertheless, the show reflects the attitudes and social mores of that era. 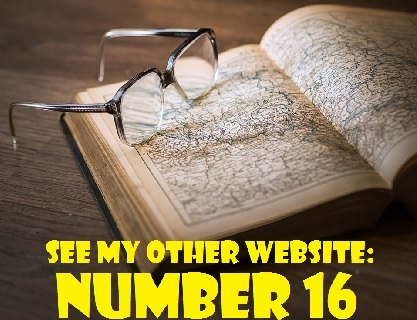 It is also quite entertaining and genuinely funny. Leave it to Beaver was created by writers Joe Connelly (1917-2003) and Bob Mosher. (1915-1972), who later produced The Munsters. According to Dennis McLellan's February 14, 2003 obituary for Connelly in the Los Angeles Times, "Connelly's 14-year-old son, Jay, served as the model for Beaver's older brother, Wally; and Connelly's 8-year-old son, Ricky, was the inspiration for Beaver -the nickname of one of Connelly's merchant marine shipmates." 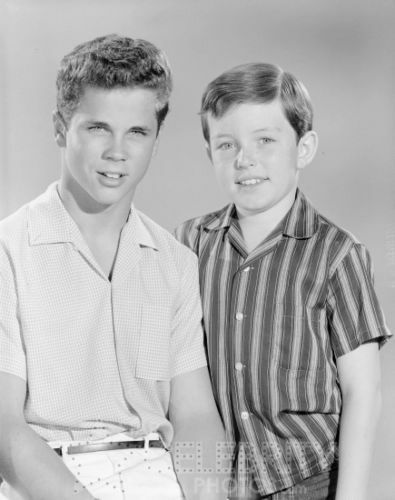 Perennial troublemaker Eddie Haskell and pudgy Larry Mondello, wrote McLellan, were inspired by friends of Jay and Ricky Connelly. Jerry Mathers made the following statement to the L.A. Times about Connelly and Mosher's contribution to Leave it to Beaver: "I think the show is part of the Golden Age of television and because of Joe Connelly and Bob Mosher. All the cast members feel very lucky to have had such great, inspired writers. That's what makes it part of television history. It wasn't the actors; it was definitely the writers." After six seasons and 234 episodes, Leave It to Beaver went off the air in 1963. The show remained popular, but Jerry and Tony had left childhood behind and Wally Cleaver was preparing to go off to college. It was the natural time to finish off the series. In 1971, the actor, then in his mid-twenties, appeared in episodes of Love American Style and The Mod Squad. He played a character named Frank Parks in a Mod Squad episode entitled "The Sands of Anger" (Season 4, Episoode 7, Air Date: October 26, 1971). In 1972, he played a motorcycle rider in an episode of Emergency! called "Brushfire" (Season 1, Episode 4, Air Date: February 19, 1972). From 1974 to 1975, Tony was a regular on the daytime soap General Hospital. He played the role of Ross Janelle, a police office investigating the murder of a character named Phil Brewer. In 1977, he portrayed Mason in an episode of the Hardy Boys/Nancy Drew Mysteries entitled "The Creatures Who Came on Sunday" (Season 2, Episode 7, Air Date: October 30, 1977). In the 1980s, Tony continued to make guest appearances on TV shows. In 1983, he appeared in Qunicy, M.E. and Knight Rider. In 1987, he had roles in episodes of Mike Hammer and Murder, She Wrote. He also played a role in a 1989 episode of Charles in Charge. He had not, however, finished portraying his signature character, Wally Cleaver, yet. Dow reprised his role as Wally Cleaver in the 1983 television movie Still the Beaver, as did Barbara Billingsley (June Cleaver), Ken Osmond (Eddie Haskell) and Frank Bank (Clarence "Lumpy" Rutherford). The movie reunites the Cleaver family, except for patriarch Ward, who is deceased.. Wally, now a hotshot lawyer, is happily married to Mary Ellen Rogers. Beaver, on the other hand, must put his life in order after his wife leaves him. He decides to make a fresh start by returning to his hometown of Mayfield where he plans to raise his two sons (with the help of his widowed mother, June). 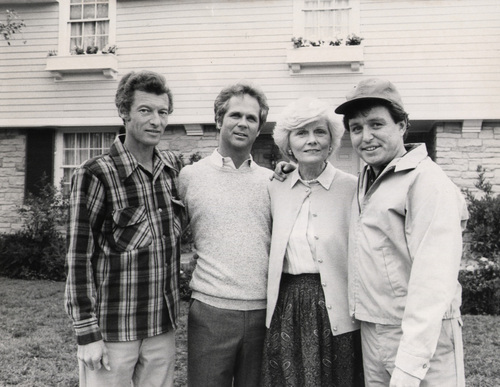 As for smarmy Eddie Haskell, he is a local contractor who operates his own business, the Haskell Construction Co.
Below is a photography of the Still the Beaver cast - Left to Right: Ken Osmond, Tony, Barbara Billingsley and Jerry Mathers. They were all members of the original cast of Leave it to Beaver. Hugh Beaumont, who played Ward Cleaver, the father of the family, passed away on May 14, 1982. Barbara Billingsley died in 2010 at the age of 94. Still the Beaver aired on CBS on March 19, 1983. In 1984, it was picked up as a series by the Disney Channel. The show only survived for one season on Disney, but was revived by TBS in 1986 as The New Leave it to Beaver. In the revival series, which lasted until 1989, Eddie Haskell and his wife Gert are the parents of two sons, Freddie and Edward Jr., played by Ken Osmond's real-life sons, Eric and Christian respectively. During the late 1980s and the 1990s, Tony began spending time behind the camera. As a director, producer, teleplay writer and visual effects supervisor, he has an impressive number of credits. His directorial credits include five episodes of Still the Beaver (1988-1989), six episodes of Harry and the Hendersons (1991-1992), 12 episodes of Coach (1990-1997), five episodes of Babylon 5 (1997-1998), 3 episodes of Honey, I Shrunk the Kids (1997-1998) and a 1999 episode of Star Trek: Deep Space Nine entitled "Field of Fire" (Season 7, Episode 13, Air Date: February 10, 1999). He also directed a 2000 TV movie called Child Stars: Their Stories. Child Stars: Their Stories was created by Dow, his wife, Lauren Shulkind, and Melissa Gilbert of Little House on the Prairie fame. Tony has produced two television movies: The Adventures of Captain Zoom from Outer Space (1995) and It Came from Outer Space II (1996). He was the visual effects supervisor for four episodes of television series Babylon 5 (1996) and the visual effects producer for two TV movies: Doctor Who (1996) and The Adventures of Captain Zoom from Outer Space (1995). Despite his accomplishments, life hasn't always been easy for Tony Dow. He has battled depression and is a two time cancer survivor. He overcame a bout of prostrate cancer and more recently faced a rare gallbladder cancer. Tony developed clinical depression while in his twenties. It came on gradually, he told the Chicago Tribune in 1993. "I wasn't aware of what it was, but I wasn't feeling so great. I was crotchety and grumpy and became more and more irritable, and had a poor attitude toward things. One day I couldn't get out of bed, couldn't go to work, couldn't do anything. There's this kind of self-absorbing feeling of worthlessness, of hopelessness. It's like a spiral. The more you think about it, the worse it gets." Tony Dow has been married twice. He wed Carol Marie Theresa Marlow on June 14, 1969 and they are the parents of a son, Christopher Dow, born March 26, 1973. The couple eventually divorced and Tony has been married to Lauren Shulkind, a mosaic artist, since June 16, 1980. The Internet Movie Data Base (IMDb.com) states that they have one child (neither a name nor a birth date is provided). Tony and Lauren met in Kansas City in the late 1978, while "she was working for an advertising agency looking for an 'all-American guy' to star in a McDonald's commercial." 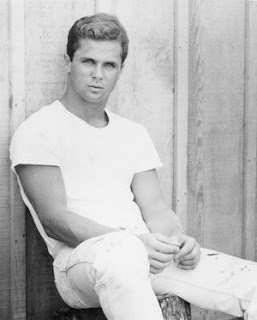 according to an October 15, 2010 Reuters news article entitled "Tony Dow: Sculpting a Life After Leave it to Beaver." Dow and Jerry Mathers were touring in a dinner theatre production of So Long, Stanley at the time. 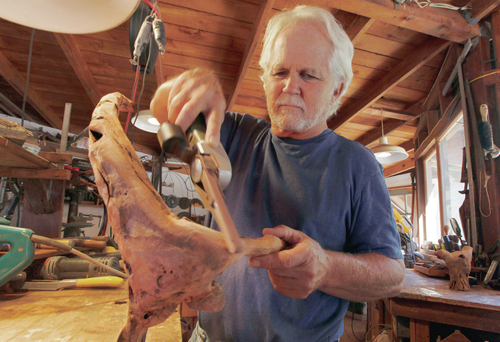 These days, Tony Dow concentrates on his work as an artist. He is an award-winning sculptor and an accomplished painter. One of his bronze sculptures, "Unarmed Warrior." was displayed at the 2008 Salon de la Société Nationale des Beaux-Arts, an annual art exhibition in Paris, presented by the Louvre. He was one of two American sculptors whose work was chosen by the jury. In a profile in the The Crafts Report by Stephanie Ferguson, Dow admits that he is fortunate that he doesn't have to regard sculpting as a means of making a living or a career. "It's driven by my inspiration and a need to be creative." he declares. "My wife, Lauren, says that sculpting is my passion, my form of meditation,"
Dow told ABC News that he was too busy to devote a large amount of his time to sculpting while he was heavily involved in the entertainment business. He now spends hours on end in his workshop, tinkering with bronze and wood, at the woodland retreat he and his wife share in Los Angeles County's Topanga Canyon. Like his father, Tony is also a contractor and is interested in architecture design. In 1974, according to People magazine, he established his own construction company, with a crew of five men. When he found contractors too expensive, he and his business partner began doing the physical labour themselves. They built luxury condominiums. "The painting and sculpting definitely helped me envision what I wanted to build," he tells Stuart Millar in article entitled "Hollywood Handyman" in This Old House.